Last night I came home on such a high after being with 6 talented and lovely ladies. 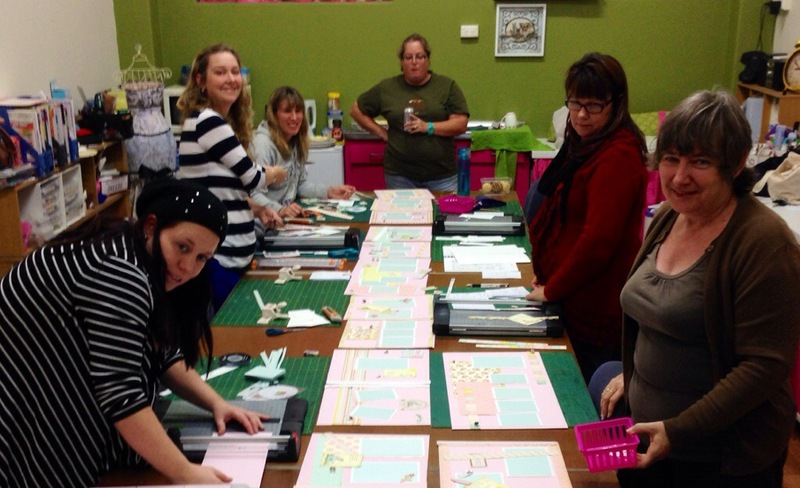 We had a Saturday night designers night and all those who create for The Scrapbook House currently came together. We began with dinner (thanks to China Moon – yum) and then we began working out what we would do to make my idea come to life. What then happened makes me so proud to be amongst them and honoured to be friends with these creative ladies. Oh… and I wanted 20 pages or more. Having spent a long time to think about this, and had clear idea of what would be best for our customers, and who this album would suit. I excitedly waffled on about the details and they all just looked at me for a long time. Yes, I wanted 20 pages…. So, I didn’t know how to do it, I just knew that I needed help. The Wedding Album Class I ran a few years back literally took me months to complete and kits. Months. I had 6 designers , all with varying strengths, talents and styles, who I wanted to work together. Could they do it? I was sure they could, I was sure they would create exactly what I had in mind. The next hour or so would tell just how well it would work. What you wouldn’t expect was that we would all work together on all the pages at once. So there was 7 of us, all at once, all pitching in, cutting, sticking, helping on all the pages. All in one go. I’ve never seen this before and what a wonderful experience it was to see everyone working together and for this beautiful album come together so perfectly. Each offering ideas and helping on one another, and supporting each other even when the inks and gesso, stamps and die cut machines were put out of reach. It was hard – challenge accepted and completed! All 24 pages. Twenty four! These ladies are amazing! We have a complete album, ready for display and it’s exactly what I dreamed of. This is going to be the most epic baby album class ever seen. One kit, for the whole album, easy for anyone to complete, with the option of doing it in class, or take-away kits. Thanks to Celeste, Shelley, Sharon, Michelle, Viv and Sharon for a great night! 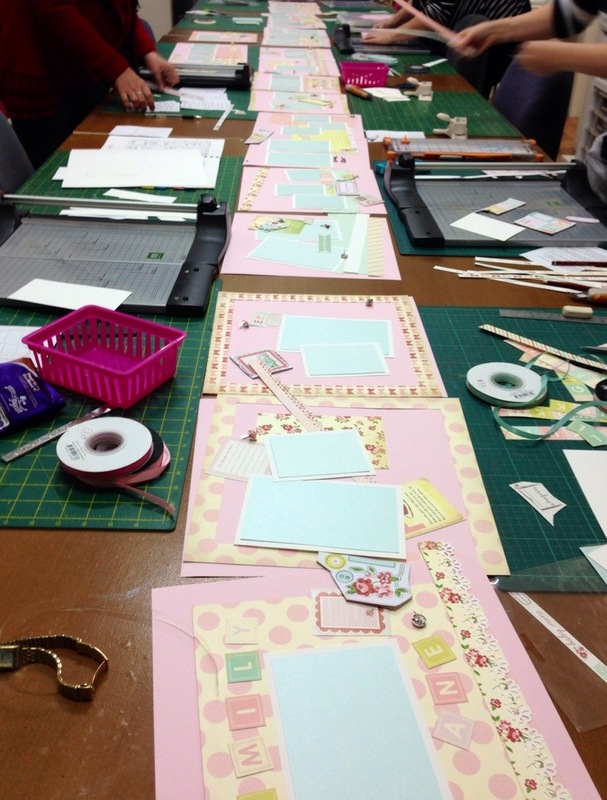 This entry was posted in Classes, Design Team Work, Scrapbook Layouts and tagged baby album, classes, Design Team, friends, scrapbook layout, Scrapbooking, shop. Bookmark the permalink. I really enjoyed it. I must admit I was apprehensive that we could get this done with only the kit to work with. Oh how I wanted ink. Great work everyone.